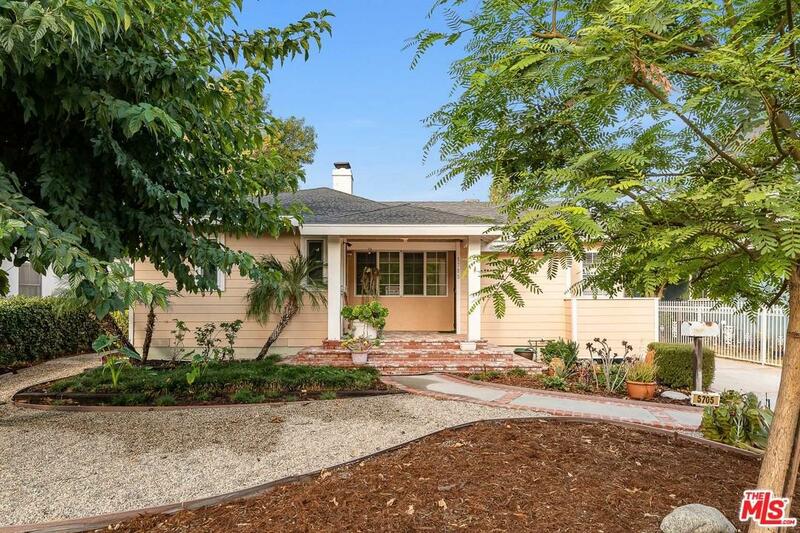 Nestled on a Tree Lined street in a sought after neighborhood in Sherman Oaks, this California Ranch is like a brand-new home! This home boasts 3 bedrooms & 2 designer baths w/ a Formal Styled Living Room & over 1,700 SqFt. Private master ensuite shows light & bright with stylish bath with Beauty Bar & stone counters.Expansive family room w/ color & style, double sliding door entries, large bay window, & surround sound. Enter this updated home past the front large bay window & be welcomed to an OPEN CONCEPT LIVING AREA w/ hardwood floors throughout. 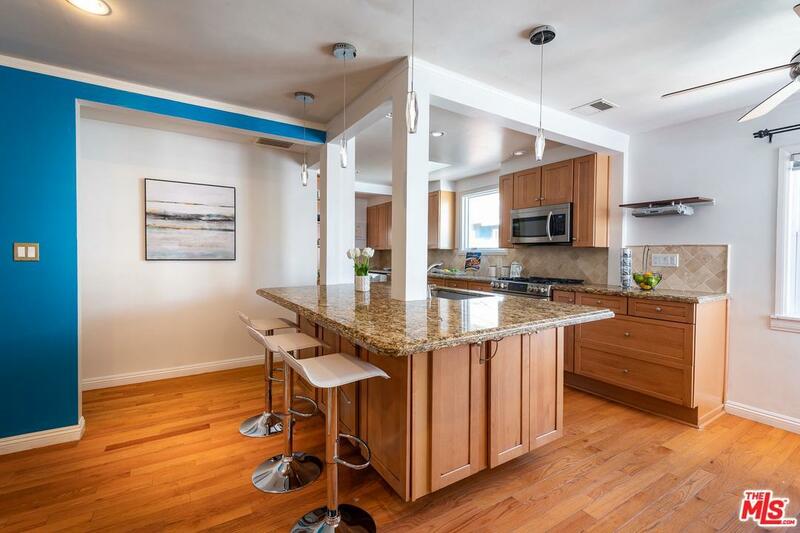 A chef's dream kitchen offers Granite 'pebble' counters, sunken sink, oversized kitchen island w/ breakfast bar, custom cabinets, crystal pendent lighting, S/S appliances, laundry area & extra storage! Separate formal/family dining area w/ lots of natural light perfect for a nice dinner. 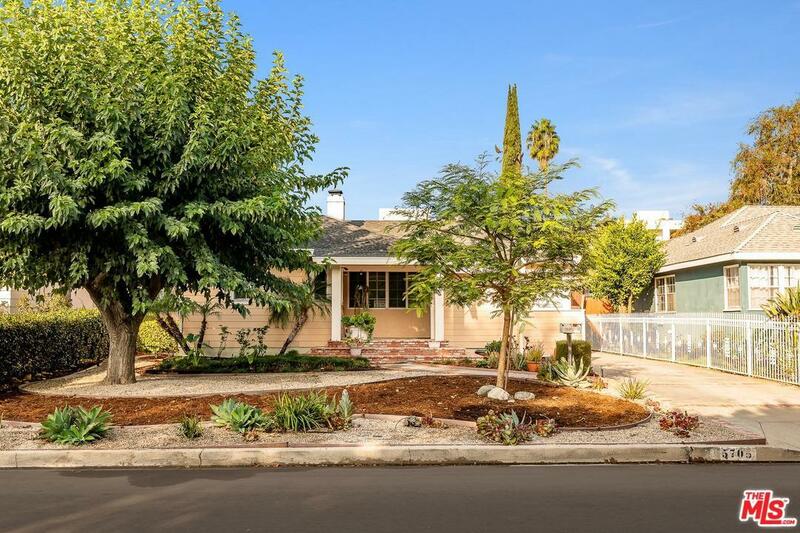 Private backyard w/ fruit trees, vegetable garden,& a partially converted garage. Dual pane windows, updated electrical panel, copper plumbing, newer HVAC. Sold by Gail Salem BRE#01724595 of Berkshire Hathaway Homeservice. 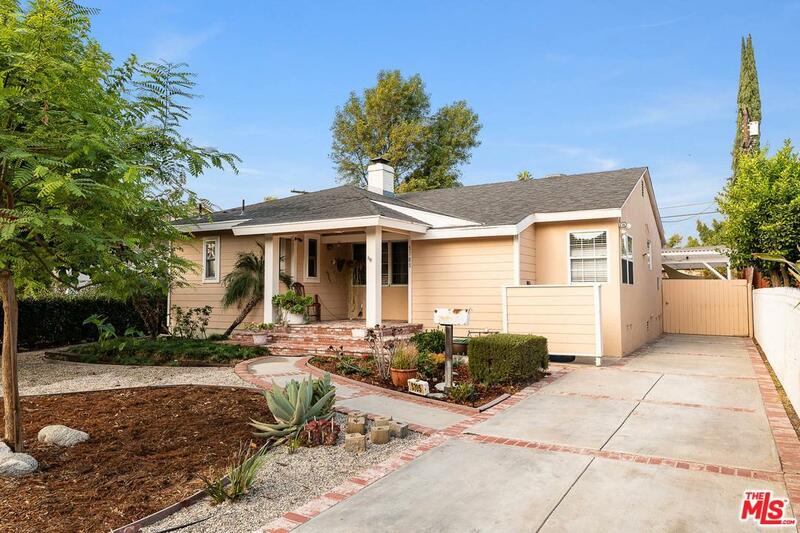 Listing provided courtesy of Letitia Jones-Diloretto DRE#01724595 of Kw Encino-Sherman Oaks.